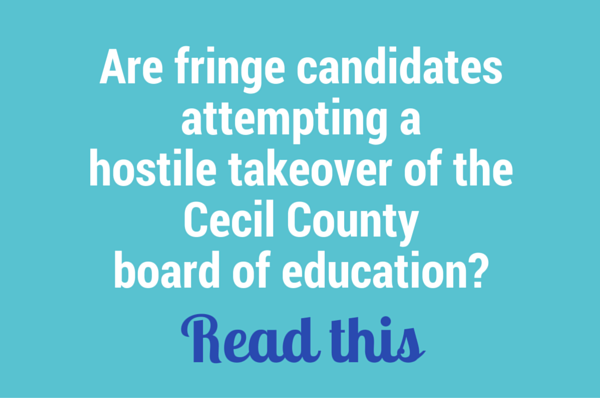 Home » Are Fringe Candidates Attempting Hostile Takeover of Cecil County Board of Education? 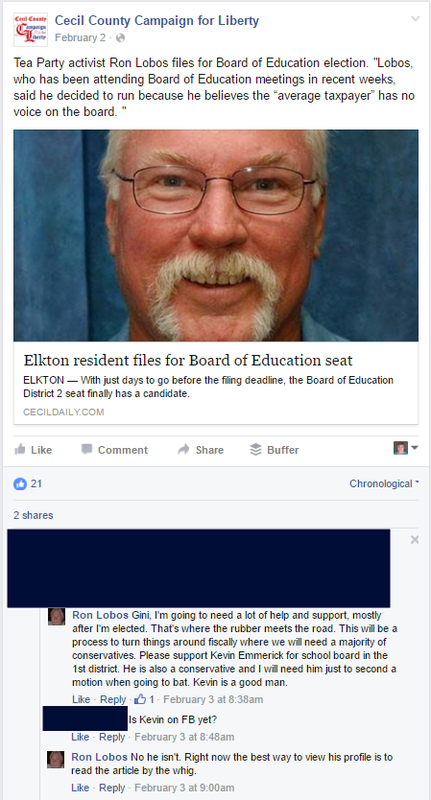 Are Fringe Candidates Attempting Hostile Takeover of Cecil County Board of Education? To the uninformed voter (I admit I was a member of that group until recently), casting a vote for a board of education member may be a no-brainer. Since the positions are considered non-partisan, no party affiliation is noted next to the candidate’s name on the ballot. Now what do you do? You can’t throw darts in a polling place. Do you do a quick eeny, meeny, miny, moe chant? Flip a quarter? Every person that runs for board of education is doing it because they support public education, right? This year there are two candidates running as the “Conservative Education Slate” for seats on the Cecil County Board of Education. Kevin Emmerich is running in District 1 (Chesapeake City) and Ron Lobos is running in District 2 (Elkton). 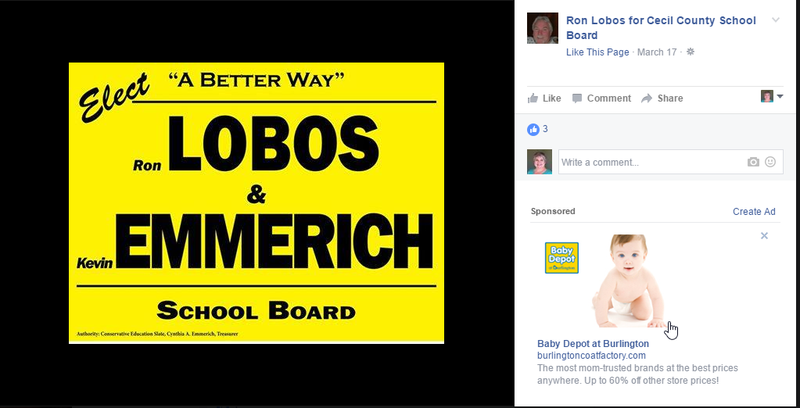 Unfortunately for Cecil County, it appears these two candidates are attempting to start a hostile takeover of the board of education. 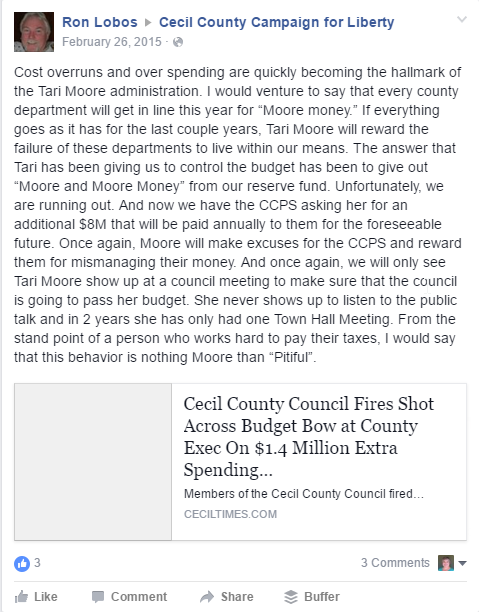 Now, he’s asking the citizens of Cecil County to elect him to a seat on the board of education. 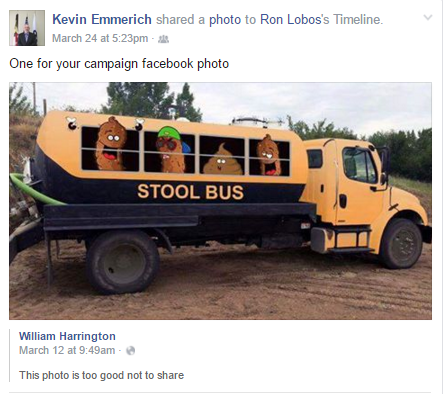 What do Kevin Emmerich and Rob Lobos really think of our schools? Maybe he filed for the wrong office?